Happy Monday y'all! In lieu of a Make a Statement Monday post, this week I'm bringing back an oldie but goodie… a brand new Over the Weekend!! 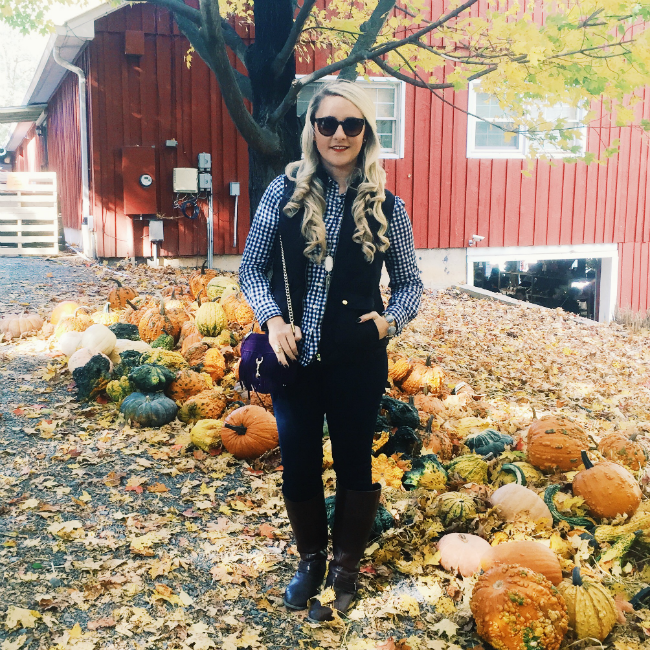 One of my favorite fall traditions is to take a short drive outside the city to visit Butler's Orchard. 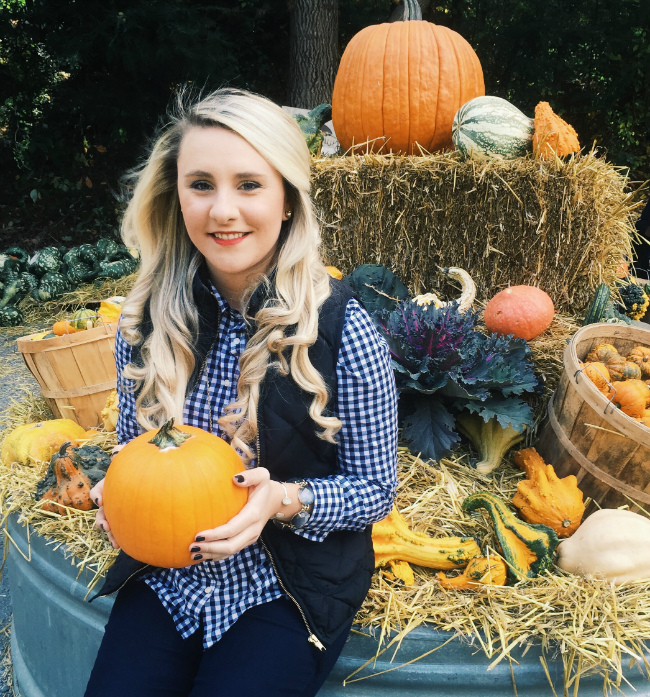 Over the Weekend, my blogger friend Alicia and I hopped in the car and drove out to the Maryland countryside to spend our Sunday Funday at the orchard and pumpkin patch. If you live in the DMV (District/Maryland/Virginia) area, Butler's Orchard is a must visit!! It's only about a 45 minute drive outside DC and really easy to get to. When you get off the interstate, you drive a mile or two before taking a left turn. Once you take that turn, it's like you're transplanted to the Smoky Mountains or something. You'll drive a few miles down this windy road, through a gorgeous forest of fall foliage. You'll pass a small barn, before you come upon this massive red barn. It's so, so cute. The main barn houses all of Butler's produce, apples, fresh made apple cider, homemade pies, jams, local made cheeses and cured meats. It's literally a one-stop-shop. Outside the barn you'll find every pumpkin you can ever imagine. Large, small, white or orange, you'll be able to find anything you're looking for. 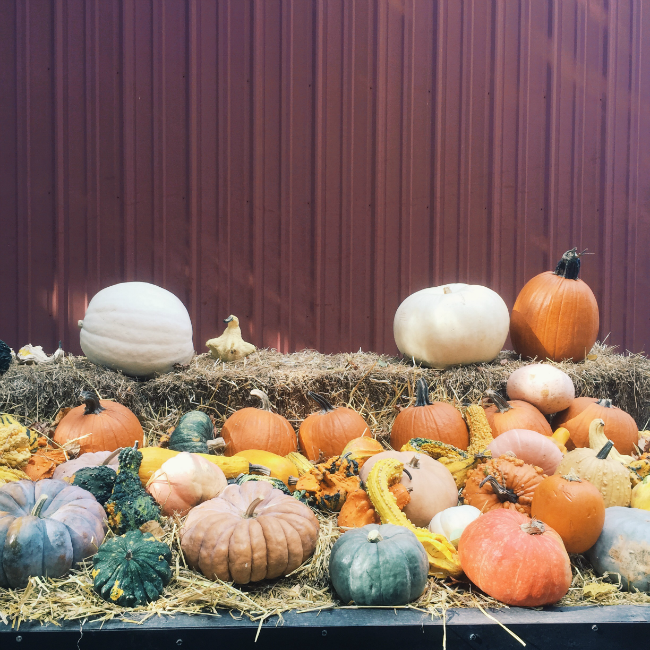 If you want to pick your own pumpkins, you can drive on past the barn to their pumpkin patch. It's a great place to take your significant other, family or a fun girls trip! The best part is, the prices are extremely affordable. And there's a little bit of something for everyone! If you do visit, I highly recommend the cinnamon apple pie or honey crisp apples. Literally I wait all year to visit Butler's Orchard, just for their delicious pies and desserts. Checkout Butler's website, see what events they have coming up this fall, book a hayride or simply get directions on how to get there! 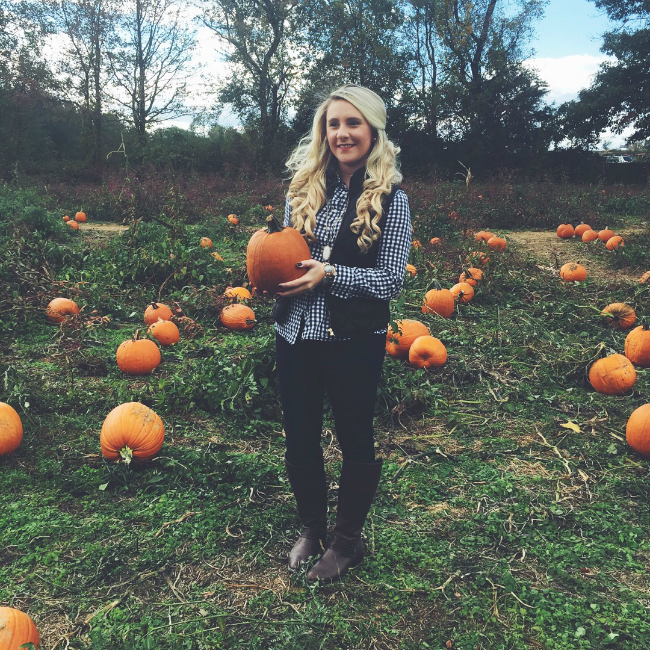 I promise you, Butler's Orchard will make the perfect fall afternoon or evening activity! Pumpkin picking is the best :) I'm going this weekend, and I think I'm going to Butlers too! It is getting a bit chilly out there though.... I will need some layers! You definitely should go to Butler's Amanda!! You'll absolutely love it! Hope you have a wonderful time, xo!! I love Butler's! It looks like y'all had such a fun time! Looks like so much fun! 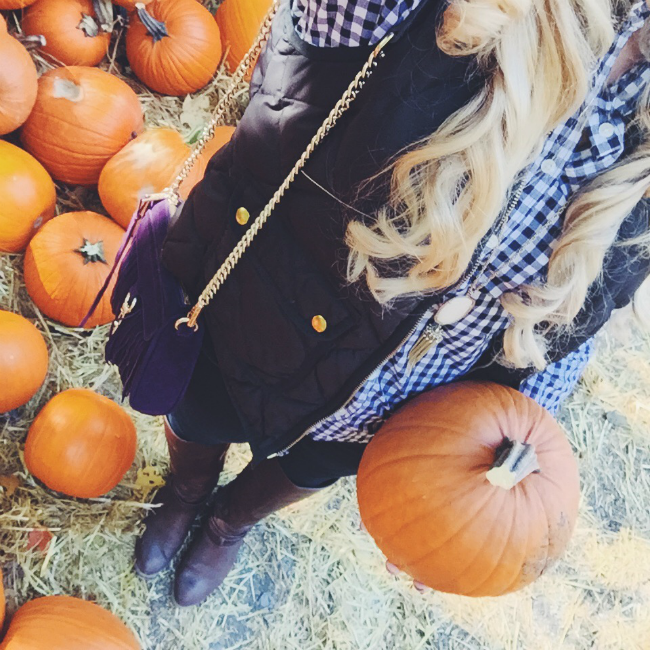 I can't wait to get to the pumpkin patch this weekend myself! Enjoy!! They're so much fun! !